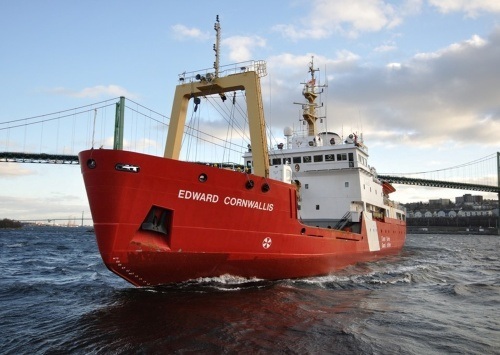 The Honourable Gail Shea, Minister of Fisheries and Oceans, announced today that the Harper Government has awarded a $2.6 million contract to NEWDOCK St. John's Dockyard Limited for important refit and maintenance work for the CCGS Edward Cornwallis. The Canadian Coast Guard Ship (CCGS) Edward Cornwallis is a high-endurance multi-tasked vessel, light icebreaker and buoy tending vessel based in Dartmouth, Nova Scotia. It was named for Lieutenant General Edward Cornwallis, the first Governor of Nova Scotia and founder of Halifax, Nova Scotia. Funding for this project is provided under the Federal Infrastructure Initiative announced in November 2014. Under this initiative, the Canadian Coast Guard received $183 million for repair, life extension, and procurement of vessels and small craft. Repairing and maintaining existing vessels will ensure CCG continues to deliver marine safety and environmental response capacity for future generations. This work supports Canada's shipbuilding industry, ensuring the best value for Canadian taxpayers. Maintenance work includes refurbishment of the hull, galley deck, tanks, propeller tail shaft, and auxiliary and domestic systems. Work is scheduled to begin in August 2015, and be completed by October 2015. This work ensures the vessel can continue to fulfill mission requirements and operate efficiently. "Our Government has invested more in our country's Coast Guard than any other government in Canadian history. Not only are these investments supporting CCG personnel, they are also resulting in job creation, economic growth and long-term prosperity in communities like St. John's and all across Canada."